The epic finale! Think man-eating dragons are a myth? WRONG. If you’ve never met a Komodo dragon, consider yourself lucky. These monster lizards might not be as big as the dragons of legends, but they’re equally good at killing you! So Max and his bug buddies have a lethal problem when General Komodo’s lizard army invades. Max and the bugs are already exhausted. Can they find the strength to fight on? 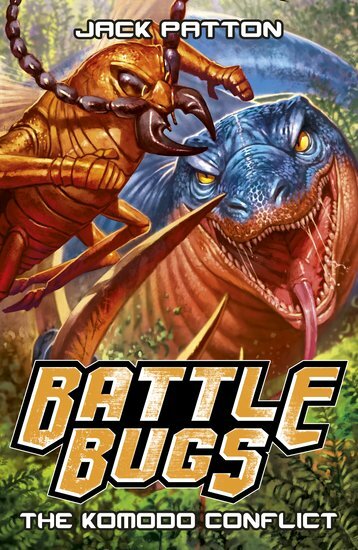 The thrilling finale to this epic bug battle series!